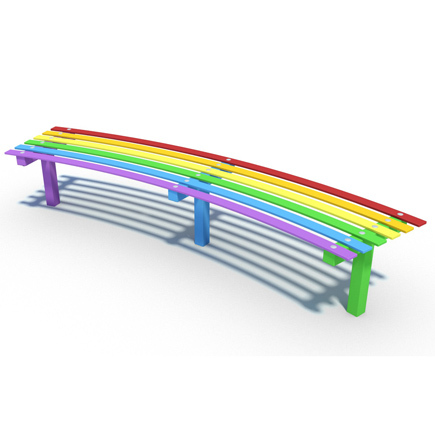 Our colourful and exciting steel rainbow bench is a firm favourite amongst schools and councils looking for seating in playgrounds. The curved design is unique and made from British steel, the bench will withstand the harshest of conditions. The bench is also hot-dipped galvanised to prevent rust and powder-coated in the colours of the rainbow and also ensures the longevity of the paint. Due to the length of the steel rainbow bench, it has the capacity to sit quite of a few people – making it ideal for areas gathering large groups of people.